An elderly resident of an inner-city tower block is brutally attacked and left for dead. Her neighbours, a pregnant alcoholic, a vulnerable youth, a failed actress and a cameraman with a dark secret, are thrown together in their search for answers. Misfits and loners, they are forced to confront uncomfortable realities about themselves and each other, as their investigation leads them towards the shocking finale. A third novel by the award-winning film-maker. This is the second book I've read by Tanya Bullock and whilst very different to Homecoming, it has the same trademark warmth and poignancy that I associate with this author. Tanya Bullock doesn't just write a story, she creates characters of such depth that you easily warm to them and the story remains with you long after you've turned the final page. 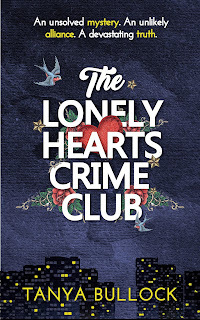 What a fantastic cast of characters we have here in The Lonely Hearts Crime Club. The story starts with Aggie being attacked in her own home and each of her neighbours showing varying degrees of concern when they hear Aggie's dog barking in her flat. As with all social situations, some people know Aggie better than others but, once the gravity of Aggie's situation becomes clear, the neighbours get together to piece together the clues of what could possibly have happened to Aggie. This is one of those books where each reader will have their own favourite character; either pregnant recovering alcoholic Ella, cameraman Ethan, socially awkward William or my personal favourite actress Birdie, who dreams of being escorted to the Oscars by Hugh Jackman (well of course, who doesn't?!). 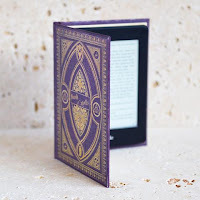 So not only do we get a mystery to solve, there are also several different colourful lives into which the reader can sneak a peek and uncover each character's story. 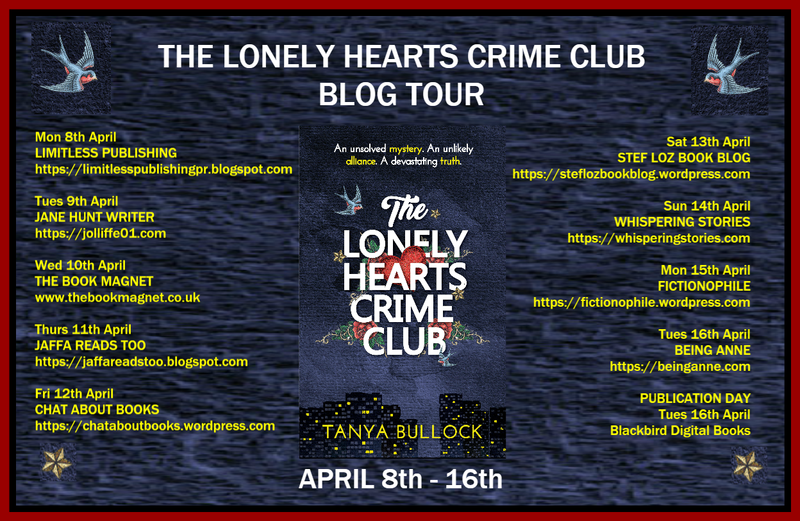 Although there are some serious subjects in The Lonely Hearts Crime Club, for me it's ultimately a fun, lighthearted story with a cast of characters who would rival the Scooby gang. 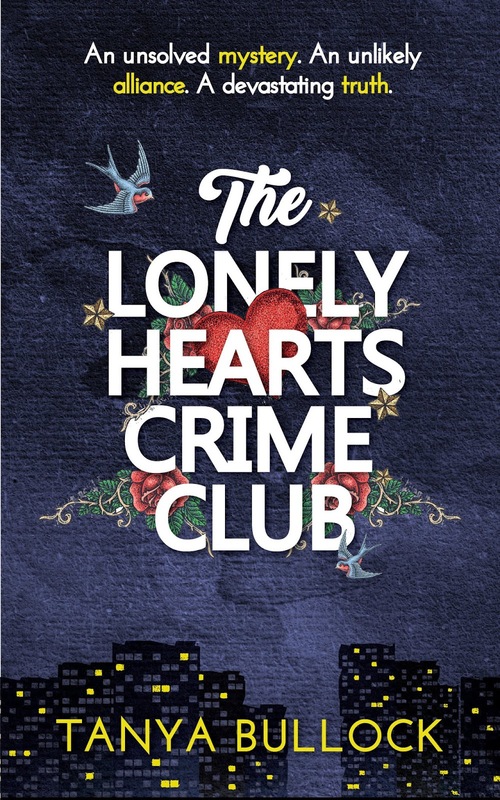 Beautifully written with sensitivity for each character's flaws, the added sprinkling of humour makes The Lonely Hearts Crime Club a highly entertaining read. Tanya Bullock is a college lecturer, writer and award-winning filmmaker. She lives in the UK with her husband and two young children. She has a passion for foreign culture and languages (inherited from her French mother) and, in her youth, travelled extensively throughout Australia, America, Asia and Europe. As a filmmaker, she has gained local recognition, including funding and regional television broadcast, through ITV’s First Cut scheme, two nominations for a Royal Television Society Midlands Award, and, in 2010, a Royal Television Society Award in the category of best promotional film. On maternity leave in 2011 and in need of a creative outlet, Tanya began to write That Special Someone, the story of a mother’s quest to help her learning-disabled daughter find love. It was a finalist for The People's Book Prize and The Beryl Bainbridge First Time Author Award 2016. Her second novel, Homecoming, a love story with an unexpected twist, was published in 2016. The Lonely Hearts Crime Club is Tanya's third novel. A mystery thriller with a shocking finale, it will be published on April 16th 2019.